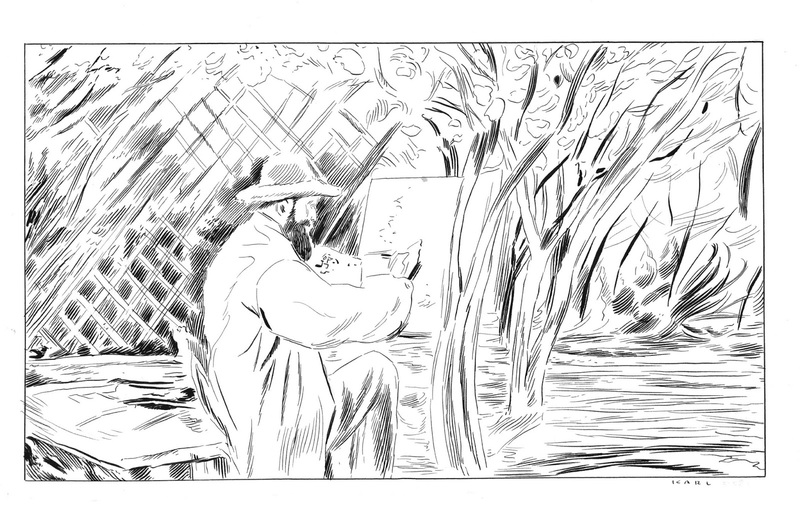 Color your way through art history! Thank you to Schiffer Publishing for providing product for review. All thoughts are 100% my own. It is no secret that my life revolves around my family, my students, and my health. The three of these can be stressful but I love my life. My family is my number one priority but I also have a duty to help educate future generations, particularly in my favorite subject, history. For me to be able to do the things I love the most I have to make my health a priority as well. My many medical conditions make it difficult to stay healthy and the thought of getting sick often gives me increased anxiety which is also bad for your health. Since the birth of my daughter in July of this year, I have been practicing several different activities to reduce my anxiety level. In addition to cardio exercises I have tried yoga and pilates but the activity that relaxes me the most is coloring. As a history teacher, I enjoy coloring things that have a history: famous city landscapes, National Parks, historical figures, etc. That is why I am so excited to share two adult coloring books with you, Stolen Beauty and Looted Beauty. Schiffer Publishing is a family owned publisher since 1974. Originally started with an interest in antiques and has grown to target readers with various interests including military history, architecture, arts and crafts, interior design, and many others. Stolen Beauty explores the details of art theft and the lack of emphasis placed on it not only by the general population but by those whose job it is to protect art and find stolen possessions. 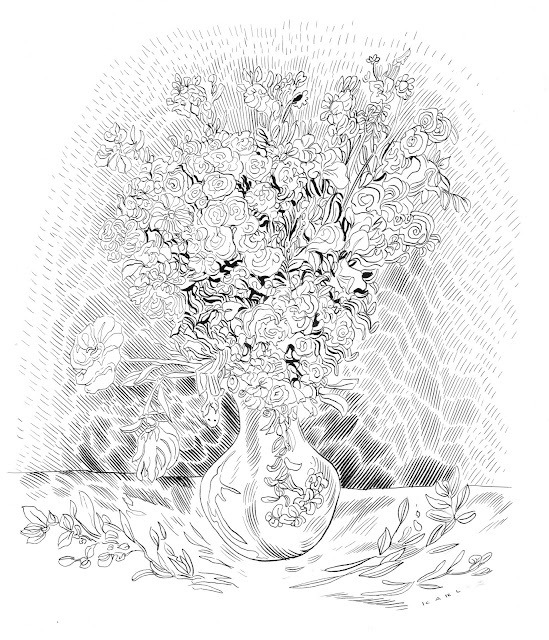 In 1990, thirteen works of art were stolen from the Isabella Stewart Gardner Museum in Boston, Massachusetts. 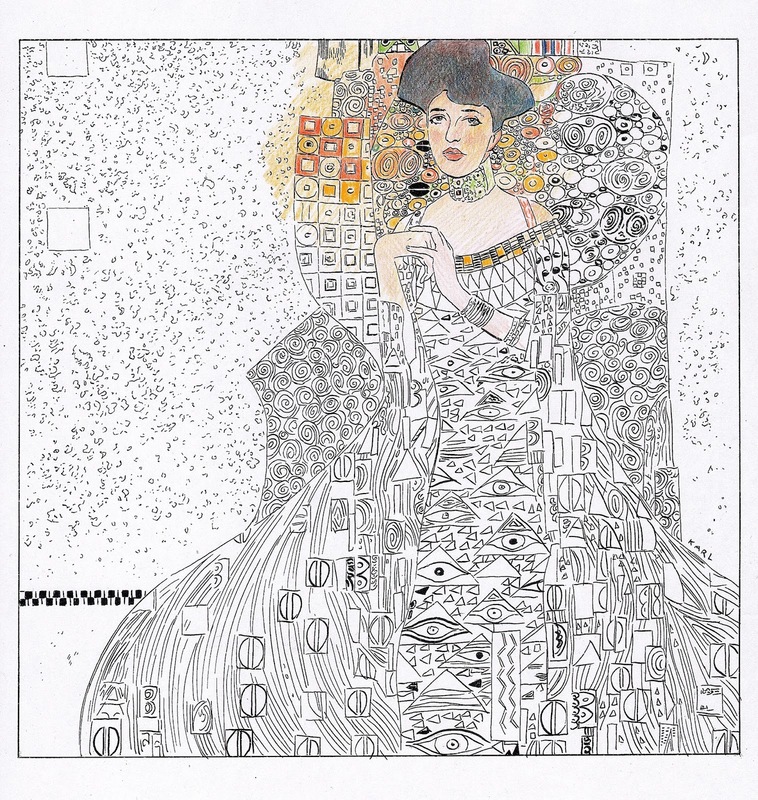 It is considered to be one of the largest property heists in history but yet few know about it or could even recognize the stolen art if they were to see it. The only way to return these masterpieces is to bring awareness to the pieces that are still missing. 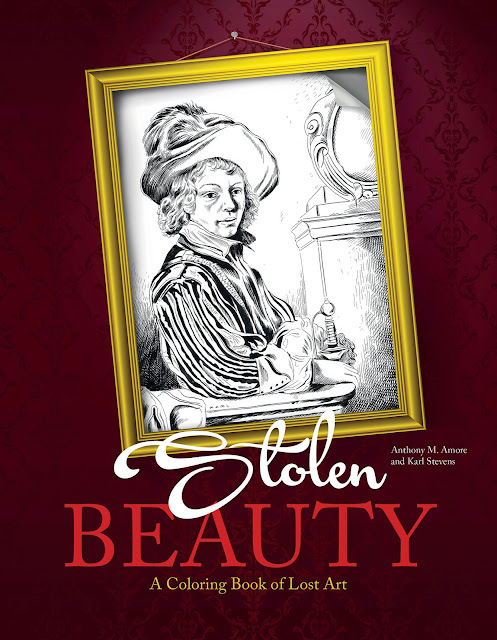 Stolen Beauty gives you thirty images of beautiful artwork to color as well as a story about the moment the piece was stolen. I like to color slowly so I am taking my time but as I do color I get a new appreciation for each piece of art. It makes me think about what story the artist was trying to tell and my mind wonders to where this piece of art is in the world. If you have seen the motion picture, Monuments Men based on the true story of attempts at recovering confiscated artwork during World War II then you already know a little about the amazing masterpieces in Looted Beauty. 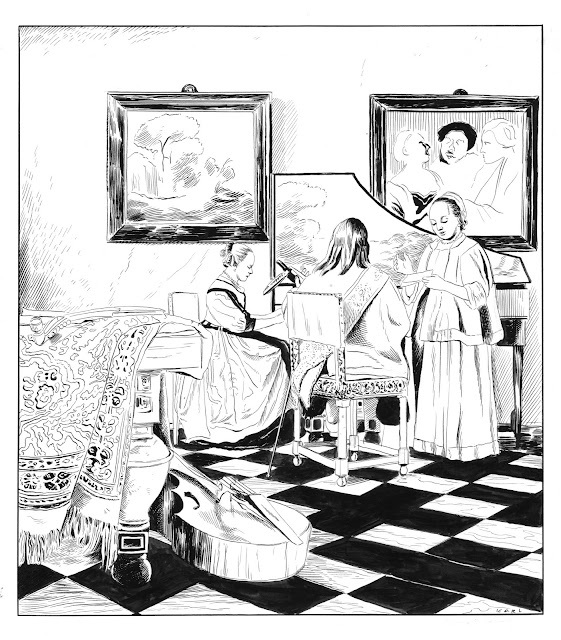 During World War II, Adolf Hitler issued a directive to collect artwork that did not fit the cultural ideas that he was striving for, often this meant confiscating cultural property belonging to the Jewish community. 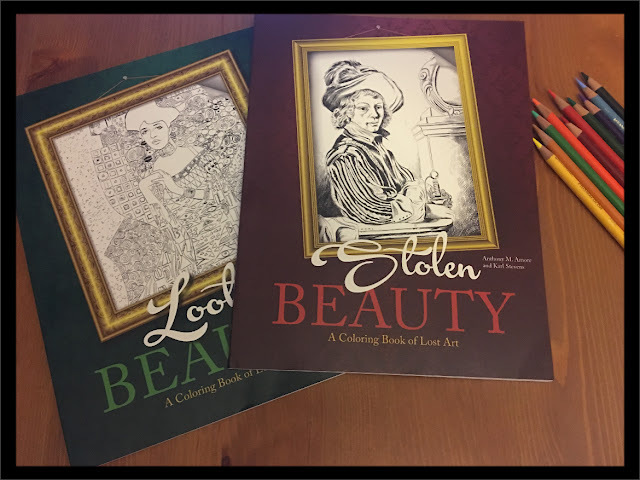 Looted Beauty also brings thirty pieces of art for you to color in addition to a brief story about the artist and the fate of these priceless works of art. 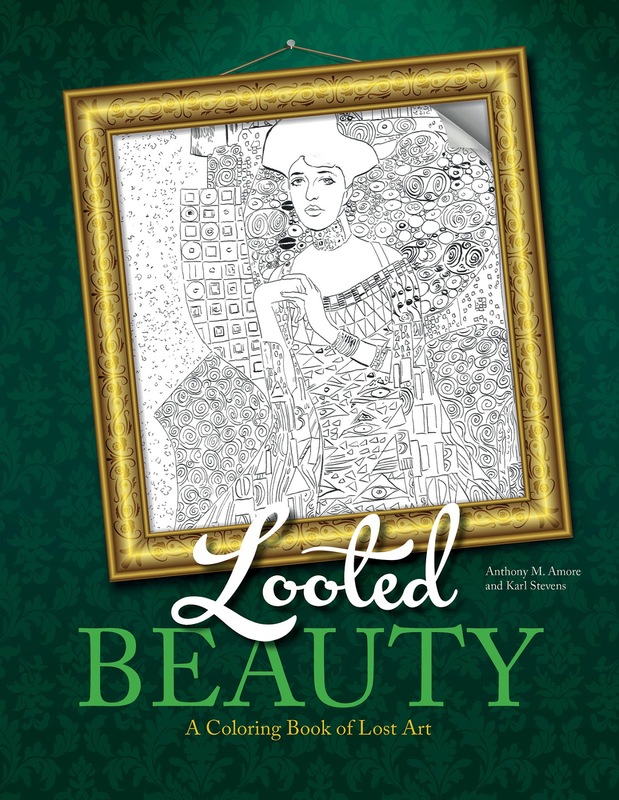 Stolen Beauty and Looted Beauty can give you a moment of reflection while learning more about particular art pieces. You can also help bring awareness to art theft and missing art. Visit the National Stolen Art File to learn more. For me what started out as an activity to reduce anxiety turned into an experience of how we often get caught up in all the stuff that we love that we become naive to all that is happening or has happened. When you get away from all that consumes your life, for good or bad, you realize how much more is out there. I love taking breaks in the evening to learn more about these works of art and the stories they have to share. 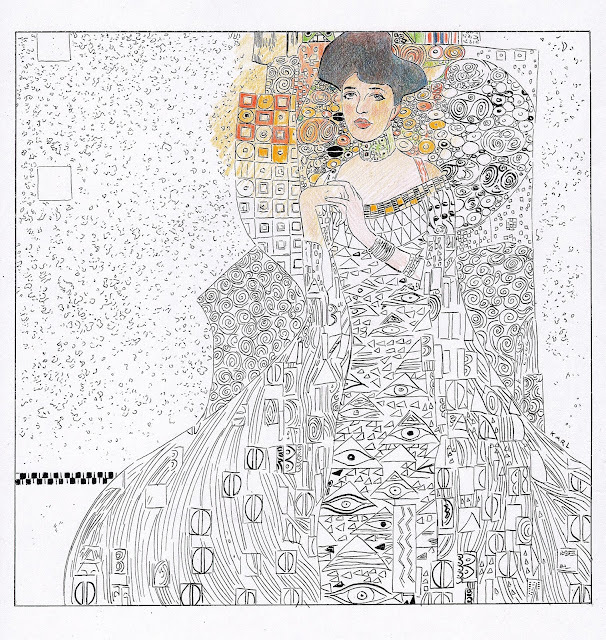 These coloring books would make an awesome gift for anyone that enjoys coloring, art, history or learning something new. To order your own copies go to Schiffer Publishing website. You can also connect with them on Facebook, Twitter, and Instagram. Special thanks to Schiffer Publishing for providing this product for review.